Suffragette demonstration advertisement. 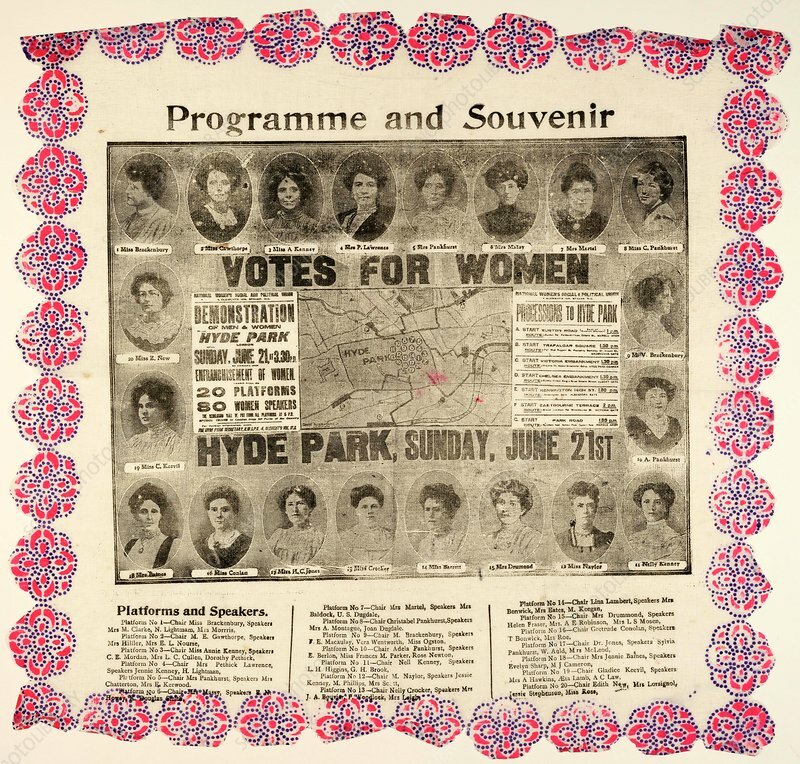 Suffragette demonstration to be held in Hyde Park, London, UK. The programme shows the route of 7 processions and placement of 20 speaker's platforms, encircled by portraits of 20 women speakers and a list of 60 speakers . The British suffragette movement was a militant activist group that campaigned for the right to vote for women in the UK. It's leader, Emmeline Pankhurst founded the Women's Social and Political Union (WSPU), an all-women suffrage advocacy organisation dedicated to 'deeds, not words'. The group was widely criticised for its militant tactics, which included physical confrontations such as smashing windows and assaulting police officers, but is recognised as being instrumental in achieving women's suffrage in Britain.